2 years ago I ordered my Tesla Model 3. Should I move on? Exactly two years ago today, I was preparing to watch one of the most awaited events in the Elon-Musk-age: the Tesla Model 3 reveal. 31st of March 2016 at 8.30pm in California. 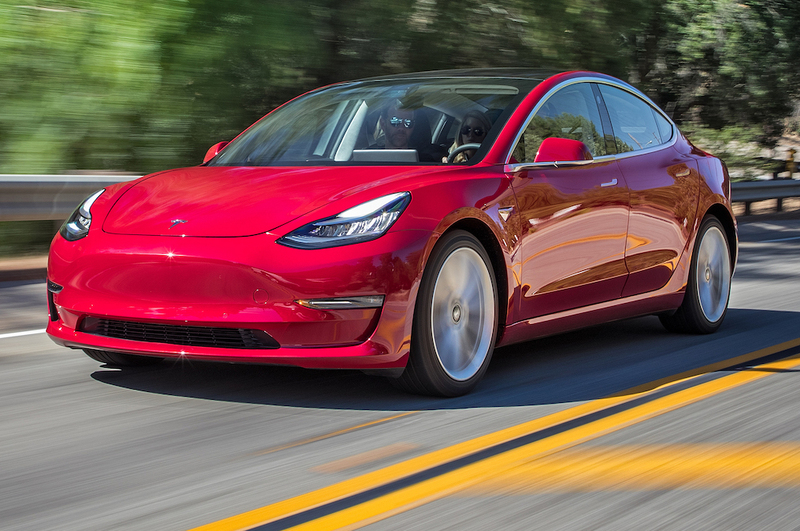 Touted as the first mass produced, affordable long range electric car in the world, expectations on Model 3 from fans and media alike were sky-high. Living in London, I had to wait till late into the night for the live stream, so I set my alarm clock at 4.15am Greenwich Mean Time, 1st of April. I was to order mine online as soon as lines would open and the car be revealed. As the alarm rang, I rushed to Tesla’s website to get ready for the event. Much to my surprise, pre-orders were already open (a last minute decision to open orders one hour before the event to avoid overloading Tesla’s servers), so without thinking twice, I rushed to my credit card, filled in the online form and placed the order for delivery to my Milan address. Sight unseen. As the unveil event unrolled, expectations got fulfilled. The car looked gorgeous and the technology was exciting. The more I looked at the car and its shiny body, the more convinced I was. A converted petrolhead’s dream come true, the legacy carmakers’ nightmare in the flesh. As the live stream wrapped up some 25 minutes later (and my girlfriend woke up wondering wth) my focus shifted and I got to reading all the articles and posts the web started gushing by the minute. Madness. My thirst for news and comments was eventually satisfied, and I made peace with the fact that I’d get my dream car almost two years later and not in any event before the end of 2017, after fullfilment of early American orders. Fast forward two years and here I am, two (or three? I can’t remember) delays later in my personal Tesla order page. Mid-2018 delivery estimate turned into late 2018 then early 2019. Twelve more months of nothing lie ahead. At least I’m not holding my breath any longer, I just… sigh. Not that I wasn’t expecting delays. Model 3 itself is a huge deal – a paradigm shift for Tesla and arguably the entire car sector. Once on track, its production will mean Tesla numbers to rival those of many legacy car makers around the world. Such a change would hardly happen without a hitch. And then there is Elon, whose innate optimism has fueled his life and companies’ growth, keeps making us dream and will hopefully be a long lasting mark of our generation (perhaps over Trump, Putin and stuff). Every single announcement by Musk has historically been sweetened by timeframe promises that are extremely hard to keep. I knew Model 3 would be no exception, so I’m surprisingly ok with this record-breaking three-year crazy wait for a car. There are however other factors that have since come into play, which are important and can’t be neglected. Elon Musk’s long-term hope to spur investment and competition in the EV sector is fast becoming reality, with the first long range mass market crossover electric cars coming to market this year with remarkable specs. Cheers to that! We don’t have to look at Nissan or Renault anymore for an inexistent alternative to Tesla, Pandora’s box is now open. Audi, Hyundai, Mercedes, VW, BMW, Toyota and more… they are all here introducing their electric models for sale or teasing production-ready prototypes available for pre-order and delivery in less than Muskian timeframes. What should I do then? Keep waiting in line as American last-minute Tesla buyers skip the line and get their Model 3 ahead of me for geographic reasons, or give up and shop somewhere else instead? The thought is inevitable, the conclusions blurry. What are my alternatives today? There is no perfect match in size and price, however they range from the Hyundai Kona electric, first affordable long range electric SUV, to the uber-stylish Jaguar I-Pace, or the soon available Audi e-tron Quattro and the Kia Niro EV, all with 400-480 km (250-300 mile) range and fast charging of 100-150 kW. None of these choices was available but three months ago. Hell, give it another six months and we’ll probably get just as many more models in production or tease-version, be it from Toyota, Mercedes or VW. What should I do… what should I do. At the moment the answer is still quite simple. If the latest order update stays true, I will wait – undeterred – for my beloved Model 3. After all, one huge advantage of Tesla is still undisputed: the supercharger network. Tesla alone understood from the start the importance of investing in the creation and relentless growth of a vast network of powerful chargers to enable long distance traveling without long stopovers. Over 1200 superchargers stations worldwide later, this massive infrastructure is now testament to Musk’s vision. The hard truth: for the whole package, Tesla is still – for another year or two – the best option. But please Elon, hurry, alternative infrastructure is catching up, it won’t be long before that last gap is filled and the alternative is real. Not just for me, but for the half million of us and counting. This entry was posted in Green Cars, How hard can it be?. Bookmark the permalink. 4 Responses to 2 years ago I ordered my Tesla Model 3. Should I move on? Pingback: It's Been Two Years Since I Ordered My Tesla Model 3 ... Give Up? Was Fiat the surprise EV hero of Geneva’s Motor Show? Has Elon Musk just engineered the short burn of the century?